If you don’t mind letting someone else read your purchased copy, I’d love to borrow it. I’m in line at the library, but you and Tanya sure make it difficult to wait 168 people to read it! Yes you can absolutely borrow it! I love that you wrote a note to the author. How cute is that?! I have been debating on whether or not to read this book. So, it is great to hear that you loved it. You need to read The Hunger Games trilogy, if you have not already read them. They are one of my favorite sets of books. They are what made me even look into reading Divergent. Oh my gosh I loved divergent. 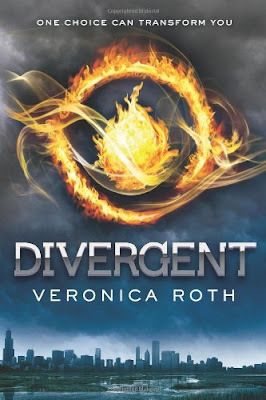 I’m a fan of the hunger games but I definitely prefer divergent! Definitely go pick it up.